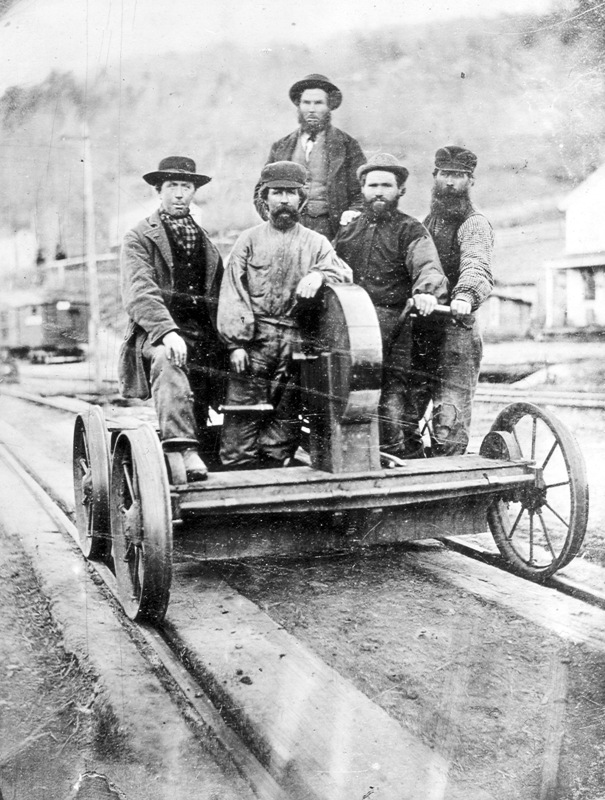 Section Gang on a hand trolley somewhere in Pennsylvania, circa 1870. Flip to "The Propagation Society–More Free Than Welcome," political cartoon, circa 1853. Building the Philadelphia & Columbia and later Pennsylvania railroads was backbreaking labor that required thousands of workers, many of them Irish immigrants. For generations the Irish were the largest ethnic group in the maintenance of the Commonwealth's tracks and road beds.